Its catchphrase is Switch on Fun, so you know when you set on board a Carnival Cruise Lines’ ship you’re going to have the time of your life. This line is very American, with the high majority of guests coming from the US, and that’s the reason why the majority of its ships sail from US ports or in the Caribbean. The line recently spent around $500 million on a new Fun Ship 2.0 initiative which is being rolled out across the fleet to improve entertainment and dining options. And it’s hard not to be caught up in the fun of it all soon as you step on board a Carnival ship because there’s normally a DJ in the atrium blasting out music, setting a tone for the entire trip. This line is very family orientated so couples looking to get a bit of alone time should take that in to consideration if they’re considering travelling during peak times such as the school holidays. However, even during the busy periods there’s always somewhere you can to escape the mayhem! Because I’d heard so much about the fun things on board Carnival, I wasn’t sure what to expect from the dinning offering. But it’s definitely worth shouting about. Whether you want sushi, Italian or steak – there’s something for everyone. For those keen to watch their waistlines, the line also offers a healthy wellness restaurant called Ristorante Samsara on a number of ships. The speciality restaurant is complimentary to anyone staying in a spa cabin or suite. In the main dining room Carnival embraces the cuisine found at local ports of call and still offers formal nights for those wanting to dress up during their holiday. 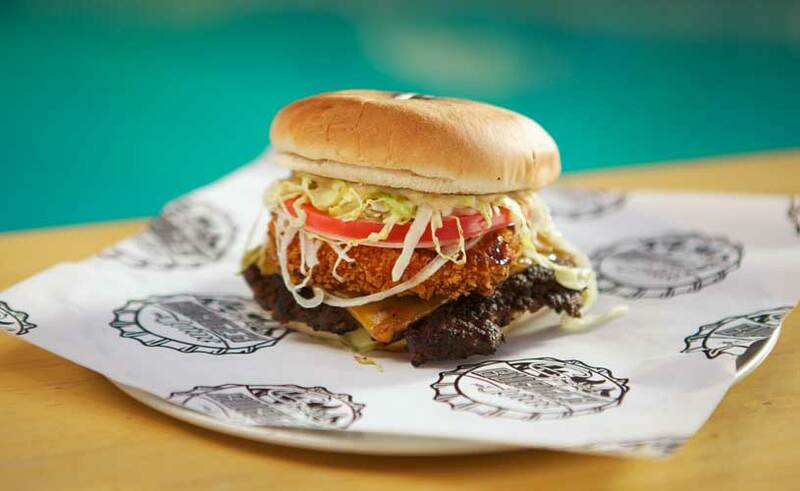 My favourites are Guy’s Burger Joint and Redfrog Pub, which offers light bits and the bar even serves Carnival’s own brand of beer, Thirsty Redfrog. The pub is one of the great places to end any night, but if music is more your thing, head to the Piano Bar. The pianist will have you singing along to some classic hits within no time, and don’t’ be surprised if you end up in fancy dress dancing on the bar! Anything goes! Carnival is definitely a hit with families and this year the line says it will carry more than 700,000 children. As part of its plan to increase that number even further, the line has partnered with Dr Seuss to create new experiences for youngsters. I don’t know a kid who wouldn’t want to spend the morning eating green eggs and ham with the Dr himself! 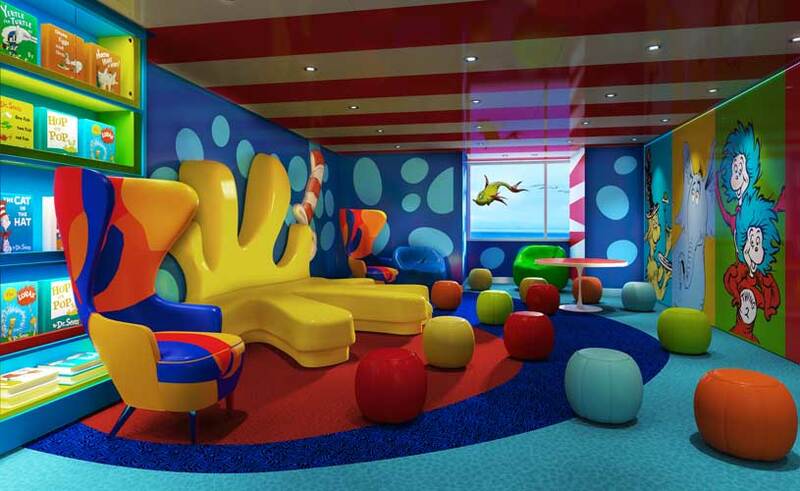 Seuss at Sea is still being rolled out across the fleet so ask your Cruise Nation travel expert for advice on which ships you should sail on to experience it. Carnival provides a playground for adults and children alike, with many ships offering ropes courses and mini golf courses as well as basketball courts and splash zones around the swimming pools. The main offering which sets this cruise line apart from offers is the recent introduction of Carnival Live, which brings like music from well-known artists to perform on board the ships. Although many of the acts appeal to the American market, last year’s line-up did include the odd one or two which might attract customers from the UK – Olivia Newton John and Jennifer Hudson. The line’s entertainment team keeps you busy during the day, especially on sea days when activities include anything from sports competitions to hairy chest contests. It can get a little loud by the main pool area, because there’s often a DJ playing music throughout the day. So any adults looking to escape all of that should head to the adult-only Serenity sun deck which has its own hot tub and bar. Although it is away from the noisier areas of the ship, you can sometimes till hear the music from the main pool in the background. Carnival is known for having some of the largest standard staterooms, and its inside cabins are some of the best and biggest at sea because unlike others this line believes those paying less for indoor cabins shouldn’t get less room. The cabins on some of the older ships look a little outdated but that’s to be expected. 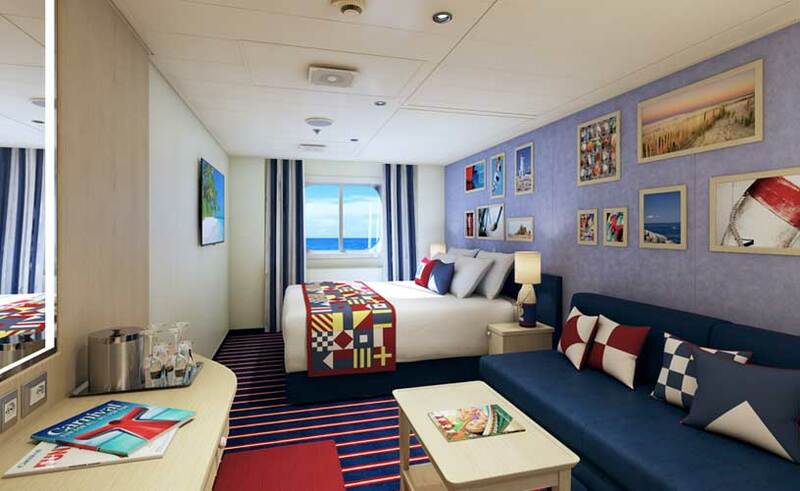 The newer ships have nice colour scheme which help to keep the rooms looking slightly more modern. 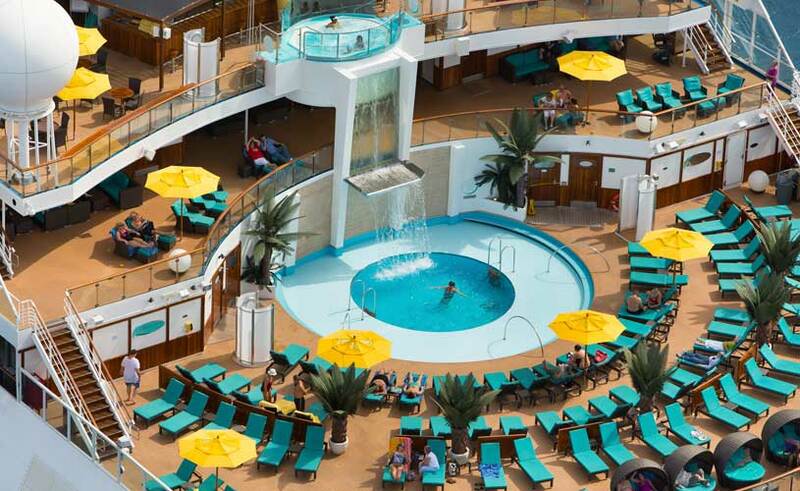 Carnival’s ships have everything from interior and balcony cabins to spa balcony staterooms and suites. I’m a fan of the spa staterooms because you get private access and priority reservations to the line’s Cloud 9 Spa. Anyone looking to spend lots of time in the Caribbean, because that’s Carnival’s area of expertise.